Released on Friday 8th June 2018. 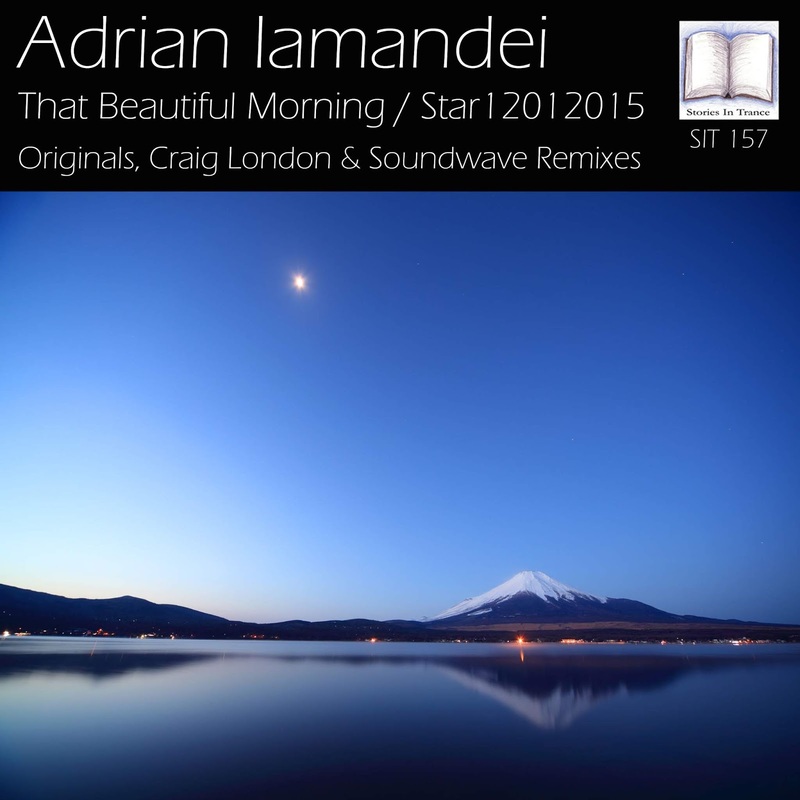 Stories In Trance present SIT 157 by Adrian Iamandei with the four track double a-sided single That Beautiful Morning / Star12012015. Italian producer Adrian Iamandei serves up two new originals under his own name, which follow on from his last release Now Or Never (SIT 155), and first up we have the Original mix of That Beautiful Morning. This track expertly blends energy alongside superb atmosphere and a brilliant lead melody with excellent production detail. Another fantastic euphoric trancer from Adrian Iamendei (AKA Soundwave) to maintain his recent creative hot streak. Supporting that is the Craig London remix. Craig follows on from his recent double a-side Flying In The Wind / Faces (SIT 156) with this absolute cracker of a remix. Craig's now customary production excellence combines a melodic and euphoric feel balanced perfectly with brilliant atmospheric and emotive layering for a truly inspired take on the original. Star12012015 is the other half of Adrian's original pairing on this release. This time, showcasing his wide production range by skilfully weaving a beautifully evocative lead melody into evolving layers to create a truly stunning progressive atmospheric track. Ardent followers of SIT and Soundwave might notice a similar feel to this piece to one of Adrian's early releases with us - Lost In Dream (SIT 27) - and further proof that the range of natural ability in his locker is genuinely worth paying attention to. Finishing off the release is the Soundwave remix of Star12012015. This remix under Adrian's more familiar Soundwave alias takes the track down his more customary energetic and uplifting route with excellent results. Using the definitive lead melody and overall great feel of the original and blending it superbly with an aggressive and euphoric tone this is a euphoric trance masterpiece.